I can imagine that you have crocheted a scarf or even several scarves this winter. And in most cases you have some yarn left. 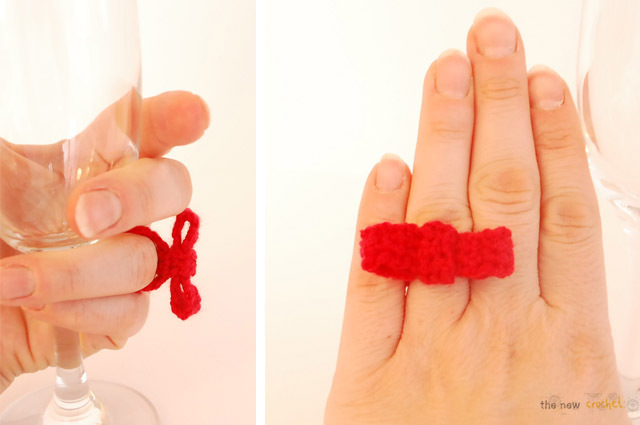 So how about making a bow tie ring in the same yarn as your scarf. This is so easy and can be done in no time so that you can make even different rings in different colours to match different outfits. Before going over to the pattern and the 'Hows' of how to make this ring I would like to make a small announcement. I know most of you are amazing crafts people and you all know to crochet well. But I would like to thank you for all the visits my blog had over the past 2 months therefor I would like to organise a FREE Giveaway coming from my Headband section in my shop The New Crochet. So hope to see you all at this Blog on Wednesday, January 16th and hope you'll be the lucky one for this 1ST Free Giveaway on this site. Well enough about this, back to our bow tie ring. 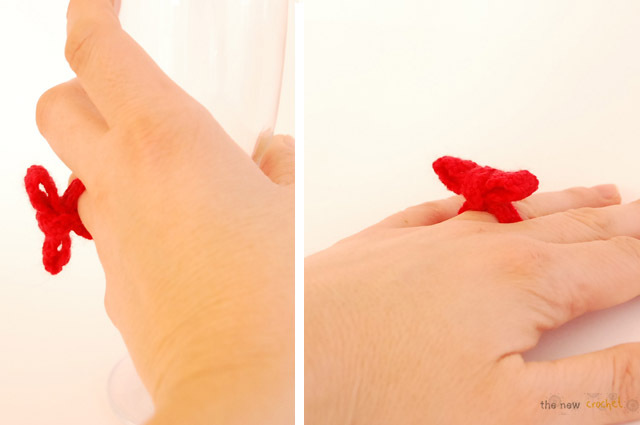 To make this ring you will need to crochet 3 little strips. I have used rather thin acrylic yarn and used hook 2.5. 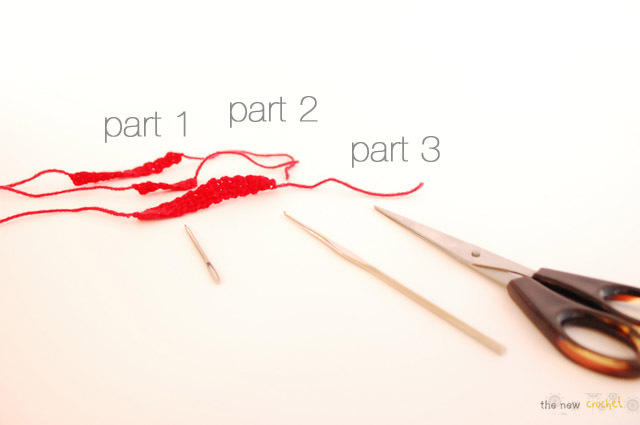 Repeat until the strip measures 2.5 - 3 cm (around 1.2inch) (depending on the thickness of your yarn) and finish off. Repeat until the strip measures approximately 7cm (2.75 inch) and finish off and sew the ends together. Now place the bow on the ring and fix them together by using Part 2. Ring and bow are placed on top of each other in the same direction while part 2 is placed in the opposite direction.